The Wellness Weigh Program is an Individualized Comprehensive Wellness Program utilizing integrative healthcare modalities that may include: clinical nutrition, botanical medicine, homeopathy, nutrition psychotherapy, wellness coaching, and a whole foods approach for the treatment of compulsive eating, binge eating, obesity, and holistic weight management. We will create a customized plan for each individual. Nutritional testing, functional medicine testing, and supplements are available at additional cost. The Wellness Weigh Program includes 17 hours of expert consultation, counseling, and education. 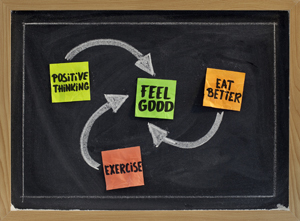 Our expert clinicians will design and assist you in implementing a personal program for success. The Wellness Weigh Program PLUS includes 22 hours of expert consultation and incorporates the Wellness Weigh Program. The Plus Program also provides a body-centered approach to assist you in reaching your goals, including stress reduction training, massage therapy, yoga therapy, yoga instruction, and deep relaxation classes. Our team will assist you in implementing a daily program to provide stress reduction, enhance body image/acceptance, and create a daily exercise program. For a complete description, breakdown of consultations, and cost information go to Wellness Weigh Program. For more information, please call The Family Wellness Center.